Supporting products, projects, and people for the circular economy. We believe waste is a resource. Currently, only 8% of the world's plastic is being recycled. The majority ends up in landfills and the ocean. Designers and scientists are finding ways to keep plastic out of the oceans by using, molding, and reconfiguring the plastic waste we find abundant. Textiles are being made from waste plastic, while other labs are growing thread with natural proteins. 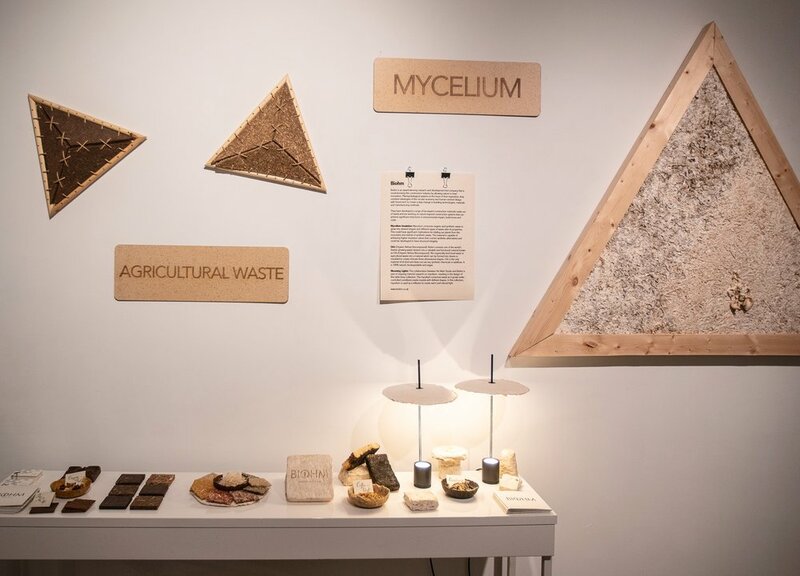 Some scientists are feeding agricultural waste to yeast, mycelium, and bacteria to create alternative leathers. These new materials keep toxic dyes and chemicals from being dumped in our waterways. Industrial food waste from the cider, wine, rice, sorghum, pineapple, coffee, and banana production can create added value products. Furniture, fashion, and interior designers can now choose alternative leathers, particle boards, textiles, and more. Learn about the Material Revolution and about the recap from CA Apparel News. Many organisms have evolved to feed on waste. We can use these tiny living machines to create new paints, dyes, textiles, and building materials. Read more about companies using this bio technology in the blog post : Environmentalists Must be Futurists. ‘Pleather’, with its varying qualities, has relied on polyurethane in place of animal skin. However, an increasing number of product designers and material scientists are proving that we can do better by growing new material with biology and agricultural waste to create a circular economy. A closed cycle world is all around us. Our society has produced recyclable resources. Let's come together to use our manmade bounty and let nature shows us how to be opportunists. Sign up to receive news and updates on how we can all grow the use of regenerative materials.